Holistic therapies are relaxing & soothing for the mind and body bringing peace, harmony and tranquility. For further information about the treatments or to arrange an appointment please contact; Pam Jutlla Holistic Therapist VTCT DHyp CP. AMT on 07951543544 or get in touch on our contact form. Crystal therapy is a holistic therapy that works on the physical, emotional, mental and spiritual levels. It re-establishes a harmonious energy flow within the body. This balances the body and mind and helps the body heal itself. Crystal treatments are excellent at relieving stress and are very relaxing. They provide an energetic boost to the whole system so are great if you have been feeling run-down. Crystals are used to balance the chakra centres, enhancing the body’s natural healing tendencies. Crystals are placed on the chakra centres & different parts of the body. Chakras are the wheels of energy that correspond to certain aspects of our physical anatomy. Only when our chakras are in balance, do we feel balanced as well. Chakras deal with four specific areas of our mind, body, and soul: Physically, Intellectually, Emotionally, and Spiritually. These four areas of our being must be in balance for us to experience health and happiness. If in balance, the seven chakras form a distinct and profound formula for your body’s wholeness. Reiki (pronounced Ray Key) is a natural, simple, safe healing method which allows the receiver to absorb more life force energy. Reiki is a gentle powerful holistic system which allows channelling energy to flow through the therapists hands to wherever it is needed in the body. Reiki balances and strengthens the body’s natural ability to heal it self of physical and mental stress, strengthening the immune system and clearing toxins. Relaxes and reduces stress, tension and anxiety and relieves pain. Reiki distant healing session- Reiki healing can be sent to an individual, group, event or situation. The only requirement for distant healing is permission for the reiki energy to flow to you and a willingness to receive and benefit from the energy. To receive a distance healing you do not have to be in a meditative state but it is recommended that you set aside quiet time during the energy is being sent. Many houses, offices and other buildings can carry a negative energy, manifesting as cold unsettled energies. Having the property cleansed and blessed, provides a positive and harmonious environment. Relaxing massage of the face, head, neck & back which is performed in a seated position. The nature of the massage helps to relieve stress & tension, with its uplifting effects improves circulation & lymphatic system. The body is rebalanced during the treatment and this in turn helps to refresh, uplift and re energize the mind, body and spirit. Helps to relieve sinusitis, eye strains, headaches, migraines, Insomnia, tension held in the body and helps to improve mobility in the neck and shoulders. Treatment involving massage on various reflex points of the feet which provides a relaxing and energized effect, enhancing the body’s natural healing tendencies. Reflexology helps to maintain our mental, emotional and physical well being. Hopi ear candle treatment is a pleasant and non-invasive treatment of the ears, used to treat a variety of conditions. Hopi ear candles are an ancient, mild and natural therapy and have been used by Native Americans for many years. The ear candles induce a revitalising heat upon the head and ears which soothes and relaxes, calming the mind and soothing ears and any irritations in the ears or sinuses. Also calming for the head, helping with headaches and migraines. Relaxing massage of the face, head, neck, back & feet is great for stress & tension relief, circulation & lymphatic system. Relaxing & uplifting treatment. The body is rebalanced during the treatment and this in turn helps to refresh, uplift and re energize the mind, body and spirit. Hypnotherapy in its clinical use is quite simply the most powerful device for personal development and positive change. It utilises the most powerful part of our potential – our imagination. During the session hypnotherapy utilizes a deep state of relaxation to access your subconscious mind and activate your inner resources to help to achieve your goals. During the therapy you remain fully aware of your surroundings and cannot be made to do anything you would not ordinarily do. Although it is a sleep like state you are not asleep and remain in complete control throughout the therapy. The hypnotic state can feel as if you are dreaming or daydreaming and is a natural form of consciousness which many people experience on a daily basis. For example if you have ever been so absorbed in a book or a film it has felt as if you are actually there, that is a form of hypnosis. Within the hypnotic state one can by-pass the barriers to our inner thoughts and feelings, and suggestions are acted upon much more powerfully than is possible in a normal state of mind. You may be wondering what type of issues can be addressed by hypnotherapy. These are varied and many. Often when one item is addressed in hypnotherapeutic trance other problems are resolved as well. Hypnotherapy is an amazing technique and although resolutions cannot be guaranteed astonishing good results can be obtained. It may be worth thinking about how much hypnotherapy can save you in terms of cash, also giving you peace of mind, helping you to find the peace and balance within giving you the confidence and motivation to reach your goals. If you can stop smoking after one session just think of the savings you could make. If you spend £5.50 per day on a pack of 20 cigarettes – you could make a yearly saving of £1,848! Another example is that it’s much cheaper to treat obesity with hypnotherapy than pay out £12,000 for a gastric band. All these things are worth thinking about. You can save a lot of money if you can eradicate some problems. Think about your own and what its costing you on a day to day basis. EFT can be effective for various purposes, including personal and self-development, attitude and behaviour development, resolving personal problems and reducing stress. EFT is about returning the mind, body and feelings to a state of balance and harmony so you are not limited by negative emotions. EFT is a complementary therapy and so is not used to replace normal medical or psychological treatment but can act to supplement the healing effect of such treatments. EFT is a form of psychological acupressure, based on the same energy meridians used in traditional acupuncture to treat physical and emotional ailments for over five thousand years, but without the invasiveness of needles. Instead of using needles you stimulate points on the acupuncture meridians by tapping on them with your fingers. While you are tapping on the points you say phrases to help you to focus on the problem. The treatment is performed in a seated position. EFT is a very effective yet gentle method of directly balancing the body’s energy system for the feelings that you want to change. It’s a bit like clearing a log that’s blocking a stream where the log represents a stuck emotion in your stream of energy. This combination of tapping the energy meridians, while focusing on the problem and voicing affirmations works to clear the emotional block – from your body’s energy system, restoring balance in the mind and body. The Emotional Freedom Techniques concept was developed in the US in the 1990’s by Gary Craig. EFT roots are in acupuncture, kinesiology and psychology. 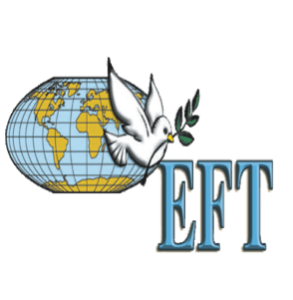 EFT is now spreading very rapidly in the US and in the UK, where the concept is now used in some specialist areas of the National Health Service. Past Life Regression is a means of allowing us to deal with past issues and issues within this life. We are often holding on to pain and trauma we had centuries ago and when we recognize the true cause of that pain we can release it and gain a great sense of relief and freedom. No matter whether you have a spiritual, emotional, psychological or physical issue Past Life Regression has the potential to resolve that issue. Have you ever been curious about your past lives? Have you lived before? If so, where and when? Who were you? What happened? Often unexplained fears and phobias can be traced back to events in our past lives such as a fear of water when you have drowned in a past life, or an eating disorder linked to times of starvation. A Past Life Regression session can uncover why we have problems with certain people in our lives. You have people around you in your current life that you have known before, imagine being able to discover what happened and what your relationship was to them at that time? You can clear blocks that plague you in your current time and even discover talents and bring them into your present time. Angels are beings of pure love and light. They accept you as you are, to them you have no flaws, just different roads and obstacles which you need to overcome and they are always there to help and guide you. During a reading the angel cards are placed in various spreads to form the basis of the reading, past , present & future, this allows the angels to confirm to you that they are connecting to you. If you feel you need guidance at the moment then why not book an angel card reading and let the angels guide you. Psychometry is a psychic skill the art of getting impressions, visions from holding an object. The basis on how this works is that every object holds a person’s energy; the psychic therefore holds the object and reads the information from the energy imprinted to help link into the person. Whenever we handle an object we are laying down information about ourselves on that object. The imprints left on objects can relate to any information, a location, a time, a feeling all are stored onto the object. This method is used to give you a psychic reading. Using my clairvoyant skills will enable me to tune into your energy proving you with honest and genuine guidance. In order to receive clear information, the object should belong to and have been only worn by the person having the reading. You will learn about the history of reiki, be attuned to the reiki energy. Learn about self healing and treating family and friends. Reiki level 1 is about self healing and self discovery. During the Reiki Level 2 course you continue your Reiki training and deepen your connection to Reiki by being attuned to use the sacred Reiki symbols. The symbols are powerful tools that connect you more deeply to Reiki. When you use the symbols during your treatments a greater level of healing takes place in you and in those you are treating. Deepen your connection to Reiki by using symbols which enhance your Reiki practise on a physical, mental, emotional and spiritual level. You will also learn how to do distance healing. The Reiki Master course will build on the knowledge and experience you have learnt in your level 1 & level 2 Reiki course. The Master energy will guide you further onto your spiritual path, deepening your awareness. As a Reiki Master you will recognize that you yourself are a master of your own life. You will be taught about the Master symbol and be attuned to the Master energy, activating higher vibrations within you -expanding your consciousness. Spiritual development workshop is a practical introduction to accessing and developing your spiritual awareness. Includes guided meditations, detecting energy fields, psychometry, dowsing, accessing your psychic toolbox and communicating with your guides. Meditation is the art of looking inside and discovering one’s own inner being. In a meditative state you are in a space of peace and clarity, relaxing and calming for the mind, body and spirit. Attending a meditation workshop is the perfect way to begin or reawaken your meditation practice. Copyright © 2019 Divine Holistic Therapies.